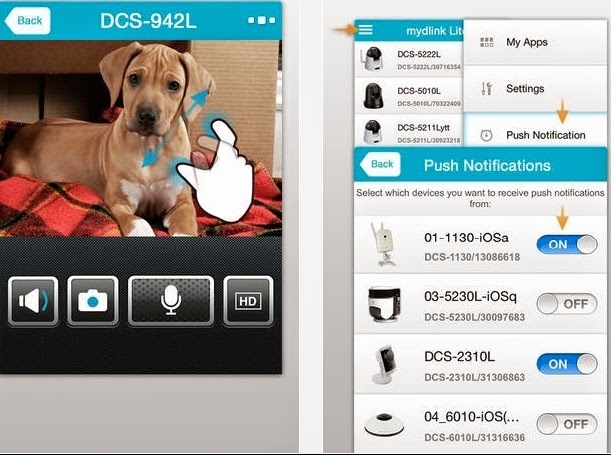 D-Link has announced a new range of products: connected Plugs, DSP-W215. They have Wi-Fi and can be controlled remotely from a smartphone or tablet. In addition, they also allow you to track your consumption and incorporate a heat sensor to prevent accidental overheating. This is the trend of the moment: connected objects of everyday life. This sometimes takes the form of hearing aids that can greatly simplify your life, but most of the time it is only to improve comfort. For example This is the case of connected bulbs that are very fashionable these days, but also outlets. While Belkin is already in place for this time with its WeMo, D-Link has unveiled its own line: DSP-W215 have some advantages in their pocket. D-Link DSP-W215 have Wi-Fi (WPS compatible) and can be controlled remotely via a mobile device, either via your local network or Internet depending on the configuration. Of course, you can turn it off or turn directly from your smartphone or tablet, but it is also possible to define ranges of use. The mydlink App WiFi Smart Plug, available on Android and iOS, you can also follow the instantaneous fuel consumption and offers the same average per day, per month or per year. Note that you can even specify that the power must be disconnected beyond a certain level. A temperature sensor is part to cut power supply in case of overheating. Note that you can specify a different maximum value for each outlet. Remains to see the effectiveness of such a system in practice. DSP-W215 are already available via the online shop D-Link for 49.99 dollars per unit.